Last year the Ride to Time programme saw 33 children learn the basics of riding trackwork by former top jockey's Noel Harris and David Walsh at racecourses around the country. 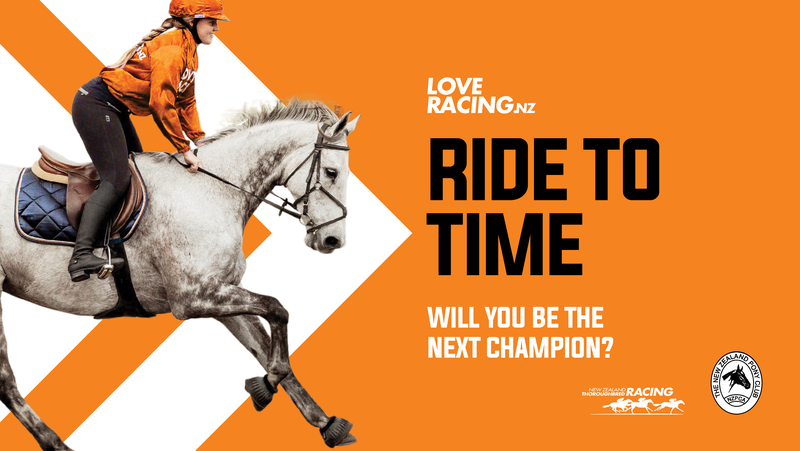 This year, Ride to Time is back and coming to a racecourse near you during the April and July school holidays. The programme is a joint initiative, run by New Zealand Thoroughbred Racing (NZTR) and the New Zealand Pony Club Association and aims to teach Pony Club riders how to ride at a given pace over a given distance, while understanding their horse’s natural pace. It also helps young riders to judge how fast they are travelling and what is a safe and balanced speed. These events will not only give riders the skills required to become a trackwork rider or jockey in the future but will also aid them in other disciplines, such as eventing and show jumping. The events will also give riders a better understanding of what goes into the nutrition and fitness of a jockey and racehorse. This event is aimed at Pony Club members with their C certificate and above, however if you have any queries please don’t hesitate to contact Tracey Sherwin by emailing her via [email protected]. If you or someone you know is interested in participating click here for more information and click here to register. Be sure to get in quick to secure your place at a venue near you.